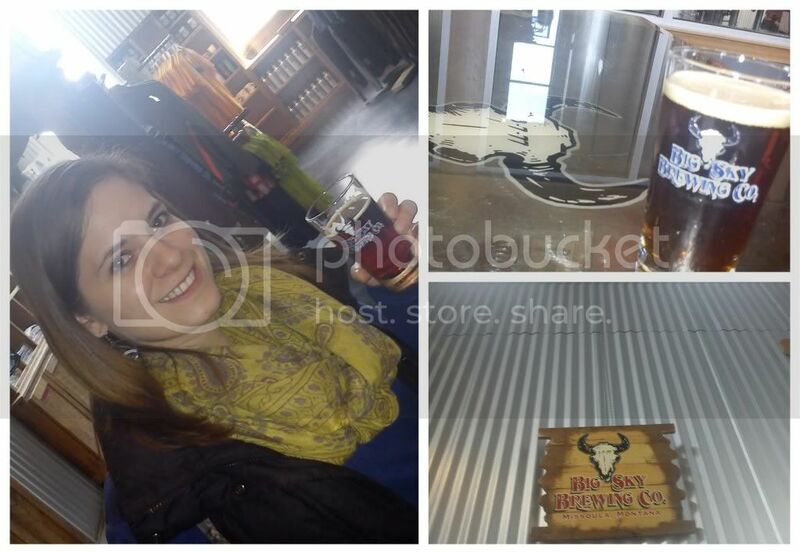 Perhaps the most famous of Missoula's Brewery's, Big Sky Brewing is home of Moose Drool and one of Melissa's more embarrassing mid-day blunders. Having hardly sipped her first, free sample of Biere de Noel (fabulous brew!) Melissa thought she'd get all instagram-cutesy and take a photographic shot of the taps...and elbowed her sample glass right to the floor, letting it shatter, spill and break. Needless to say, the photo never happened and Melissa spent the next five-minutes trying not to make eye-contact with anyone. The brewery is a large ware-house and more of a tasting room with great gear and apparel and free samples (maxiumum of three...or four?) Between the Harringtons and Kim's samples of Berliner Weisse, All Souls Ale, Bucking Monk Tripel and Moose Drool were all sampled and enjoyed. Conveniently located near the airport, this stop made for the perfect 'holding area' prior to saying farewell to Hyunhee's husband, Hakcheol.